How to Install 3rd Party Software in Ubuntu 16.4? Have you faced with such a nasty error in Ubuntu 16.4 “This software comes from a 3rd party and may contain non-free components” while you need to install a downloaded .deb package or third party software? This is simple bug with Ubuntu software center that will not allow a user to install 3rd party software on a system. But don’t worry, the update for Ubuntu fix this problem. If you already not installed the latest update for Ubuntu Linux which has a fix pack for Ubuntu software center. So try to install 3rd party software or apps with this simple tip on your Ubuntu systems. 1. Open the Terminal and type “Sudo apt-get install gdebi” and press enter to install the Gdebi alternative Ubuntu software installer. Let the GDebi package installer installation finished successfully and finally close the terminal. Now you have an alternative software installer for installing .deb packages on Ubuntu Linux. 2. Navigate to download software directory and right click on the software package then select Open with and select GDebi Package Installer instead of builtin Ubuntu software installer. 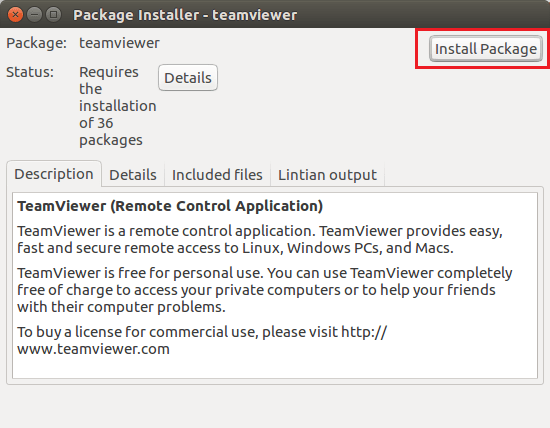 Here I want to install Teamviewer for remote control for teaching and supporting online some clients and students. 3. When the package get ready, click Install Package on GDebi package installer to get start installing third-party software on Ubuntu 16.4. Let the installation process has complete. Then try to open the installed app or software. 4. 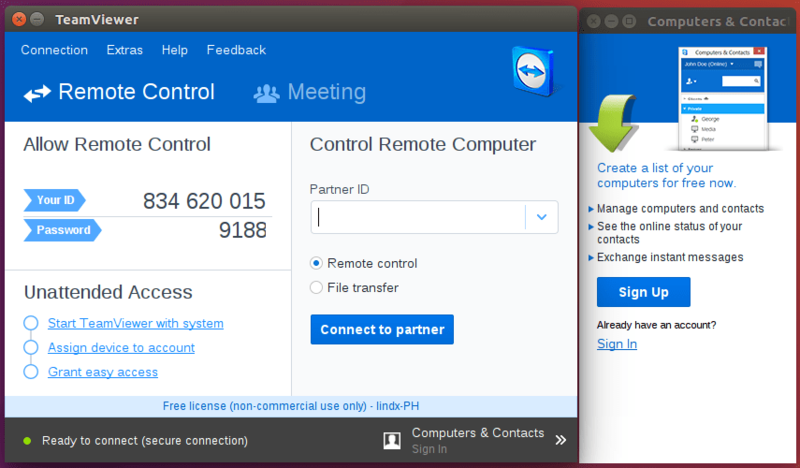 Here is the installed Teamviewer on Linux Ubuntu. If you need more information about Teamviewer remote controller, read the article “Teach and support online with Teamviewer“. 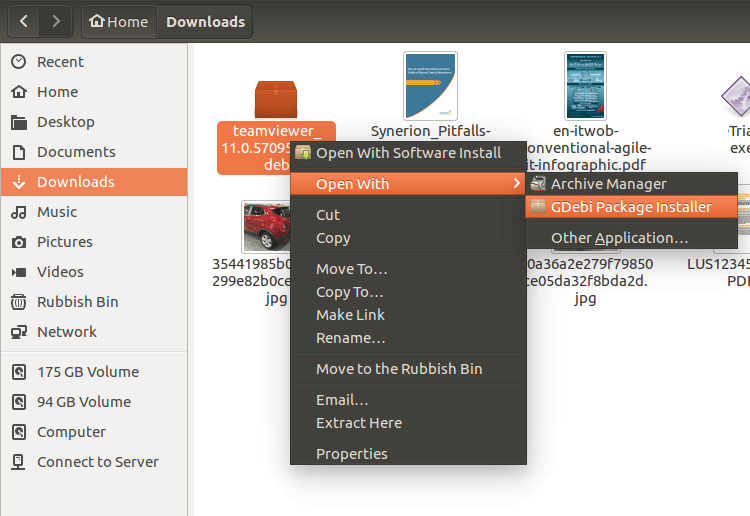 That’s all, the GDebi package installer installed the 3rd party software successfully on Linux Ubuntu. Remember that this error is only on Ubuntu 16.4 builtin software installer. On the update Ubuntu you will now see “This software comes from a 3rd party and may contain non-free components” error. Ubuntu install third party software. How to install 3rd party themes. 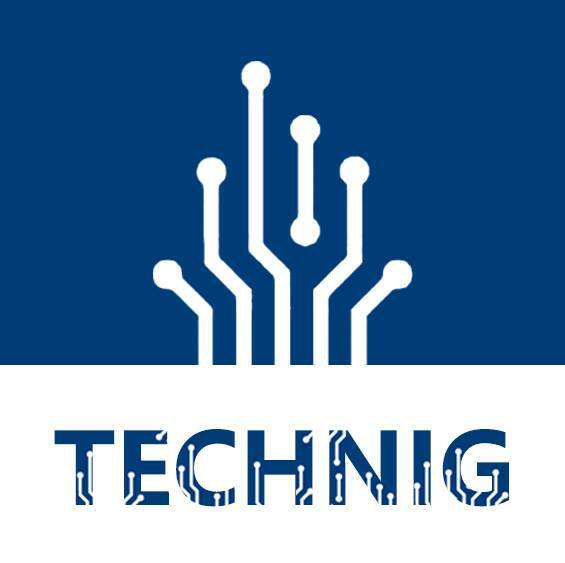 This software comes from a 3rd party and may contain non-free components. Ubuntu 16.04 software center not working. How to install software in ubuntu using terminal. Before installing software, try to update (sudo apt-get install update) then the default Ubuntu software installer will let you install new third party software without any warning.